Our neighbors recently moved out and left an old white bookshelf behind. 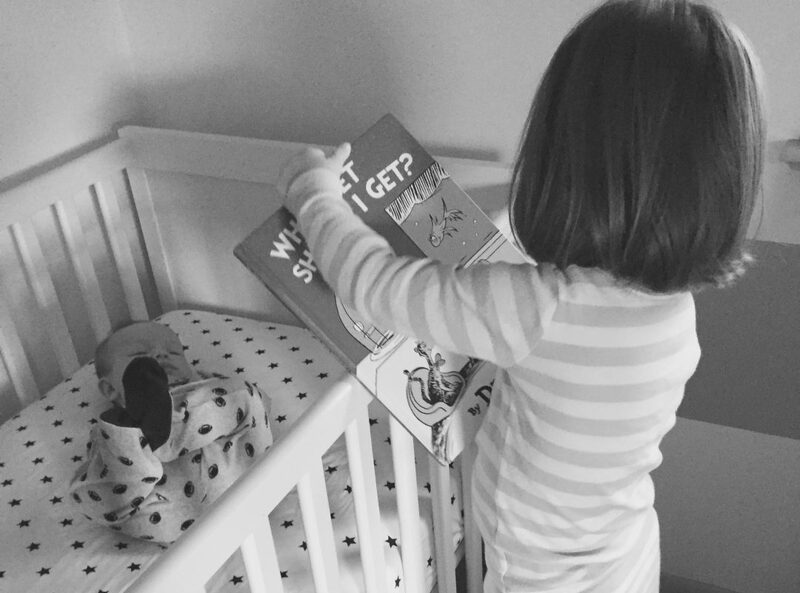 Mike was skeptical, but I immediately thought it could be a cute addition to Addie’s room…with a little work that is. After a thorough inspection and cleaning, I went out to the neighborhood Benjamin Moore for supplies. 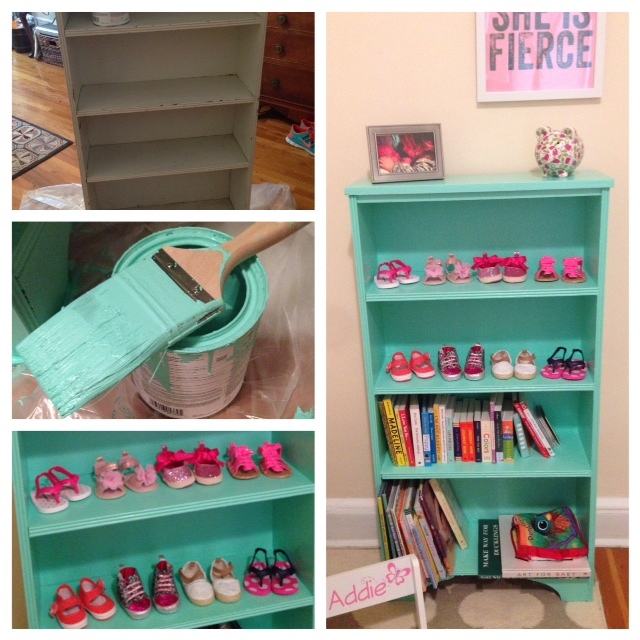 Less than 24 hours later, the shelf was completed and all set up in Addie’s room…and all for less than $45!